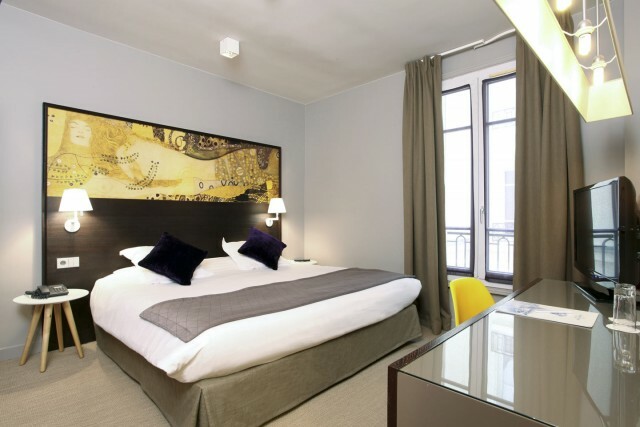 The Little Palace Hotel **** is located in the centre of Paris, besides the peaceful, leafy Square des Arts et Métiers and opposite the Gaite Lyrique Theatre. This Haussmann building was constructed in 1911 and has always been home to a hotel. In 1968, Le Bail family bought the property and have been running the business for two generations. Recently renovated and elegantly decorated, the Art Deco features have been maintained with the addition of a modern twist. 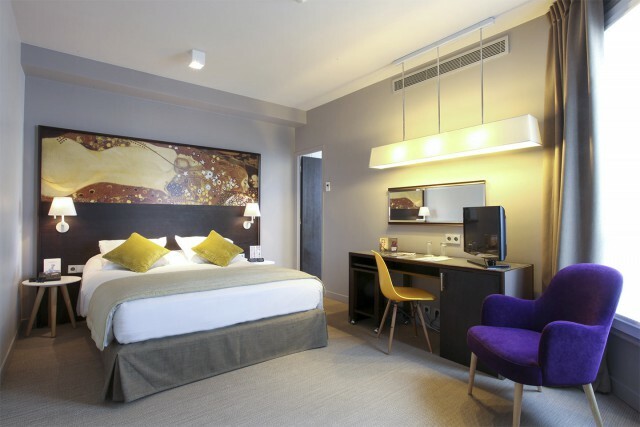 The hotel is in a prime location, at the heart of Paris’s historic centre, facing the quiet Square des Arts et Métiers. 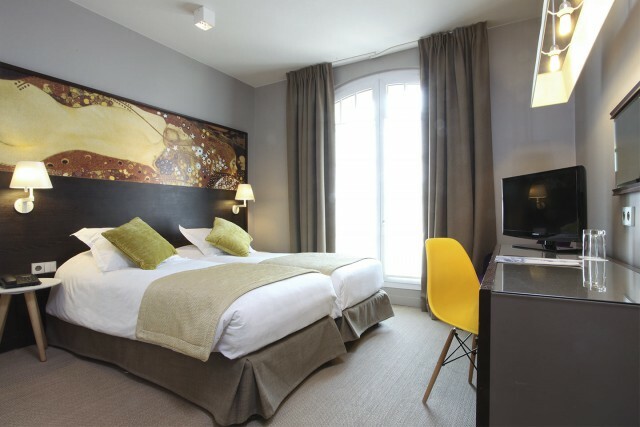 This boutique hotel is a stone’s throw from Paris’s major tourist attractions: the Marais district, the Centre Pompidou, Notre Dame Cathedral, the Picasso Museum, the Louvre, the Opéra Bastille, the Opéra Garnier and the Pont Neuf Bridge are all within walking distance. Plus it’s only a few steps from the Grands Boulevards and the iconic Grand Rex Cinema. This Air-conditioned room with an area ranging from 172 ft2 to 188 ft2, equipped with a queen size bed, flat-screen TV, private bathroom with shower or bath and toilet. This Air-conditioned room with an area ranging from 172 to 194 ft2 with 2 single beds, is equipped with a flat-screen TV, private bathroom with shower, free toilets items. This Air-conditioned room with an area ranging from 172 to 237 ft2, is equipped with a queen size bed, private bathroom with shower or bath, toilet. This air-conditioned suite has an area of 409 ft2 composed of a bedroom and a living room equipped with a king size bed, has private bathroom with bath, toilet. A selection of international newspapers and magazines is available. Room for reduced mobility guests. 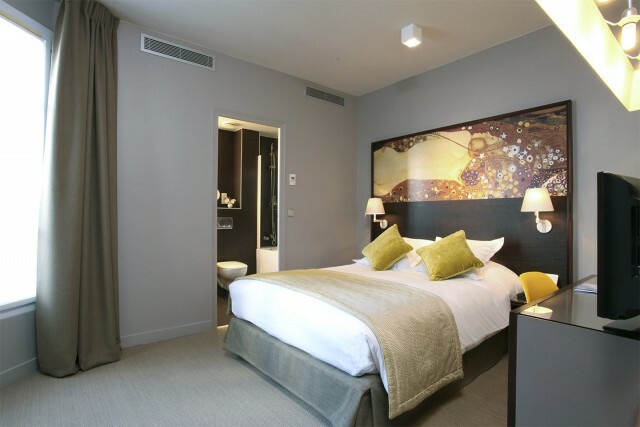 Ideally situated in the heart of Paris, the Little Palace Hotel is midway between the main business district and tourist attractions. The 'Silicon Sentier', the Conservatoire des Arts et Metiers, Rue Réaumur, the stock exchange, major banking and insurance head offices, department stores and fashion labels that line the Place des Victoires, the Marais, the Louvre, the Picasso Museum, the Carnavalet Museum, Notre Dame and the Centre Pompidou are all within walking distance.